I’m pretty sure I’ve mentioned this before that while I’m not the greatest chef I do like to bake! I’m a goodie goodie who likes to follow the rules so baking and following a recipe really works with my personality. Plus – you get to eat yummy things! I actually got mine on Black Friday YEARS ago at Kohls for (get this) $85 after rebates/Kohls cash etc! Got one for my mom too! It really is so much nicer to have a stand up mixer and not have to use a hand mixer and it’s totally worth the investment. I got boring white (whomp whomp) but they have so many with BEAUTIFUL colors to match any kitchen! 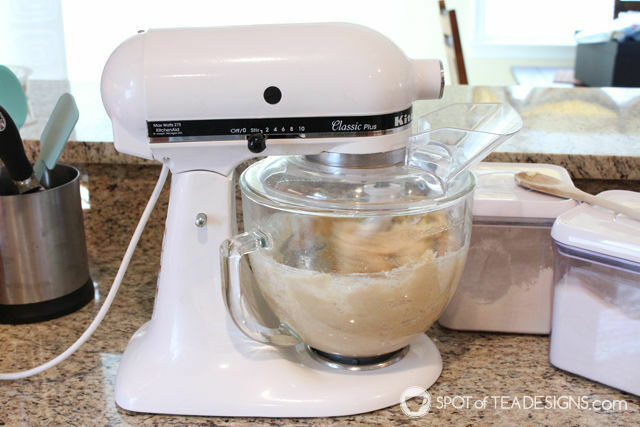 – Don’t stop at just the mixer! 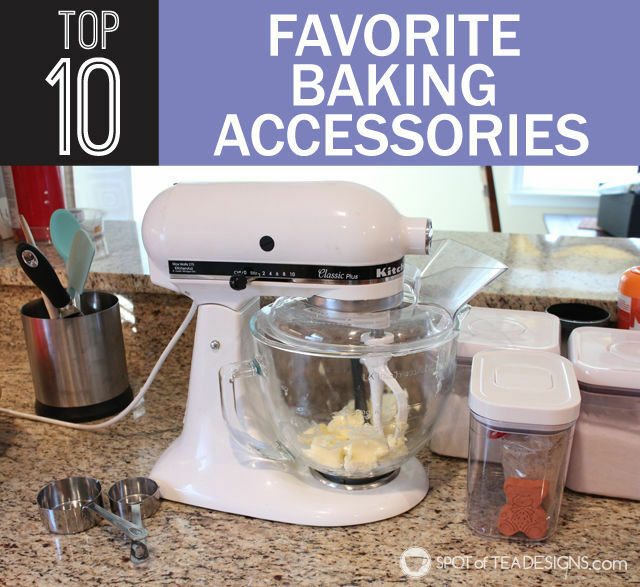 Go for the key baking accessory pieces too! The original bowl on my mixer was deep but when mixing powdery things, like cake mix, it sometimes didn’t reach the bottom or scrap along the sides while mixing. This beater fixes that issue, grabbing everything from the bottom and sides to mix well. It’s just plain awesome! 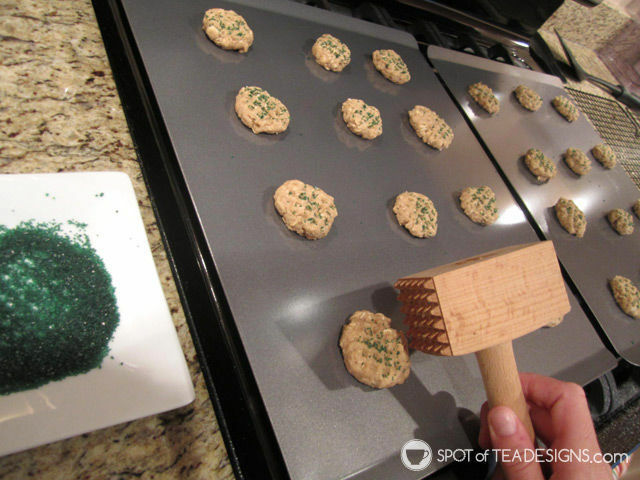 – If you’ve ever tried to pour in flour while the mixer is on and got it all over the side of the mixer or some landed on the counter, then you need this pouring shield! It helps keep the baking process a little more clean. Tip: Make sure you get the shield that fits your model! You know when you’re trying to measure something and you have to bend down and get eye level to see how full it is? Not anymore! Whoever invented this measuring cup was a genius! I’m sure most people wouldn’t even think that this was something that needed to be improved but I love this! I actually have it in three nesting sizes and use them all the time. 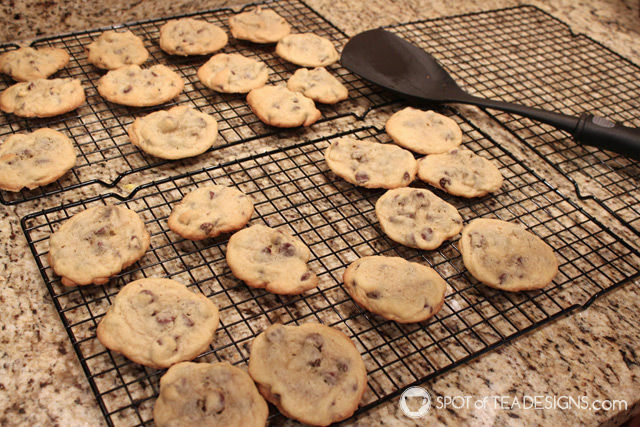 – For the longest time I’d pull out my wax paper and let me cookies cool on it before putting them in the cookie jar. One Christmas Derek got me these cooling racks and now I don’t waste as much wax paper in the baking process! – This seems like a really silly item but I promise you it’s awesome! If you’ve ever had the issue of opening your air tight container and finding your brown sugar hard as a rock, then you need a brown sugar bear. You can see mine in the title photo at the top sitting inside my air tight brown sugar container. I promise since adding this silly accessory my brown sugar is soft and ready to scoop every time! Pampered Chef Nylon Knife – This item already appeared on my 2014 Holiday Gift Guide but it’s worth mentioning again! 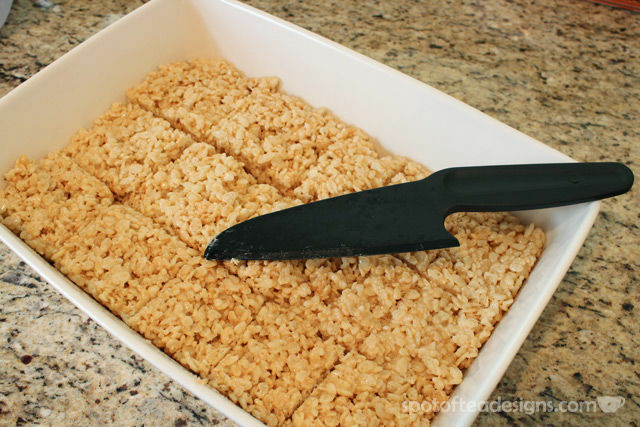 I LOVE this non stick knife to cut sticky baked goods, like Rice Krispies Treats, Brownies or Snickerdoodle Blondies. 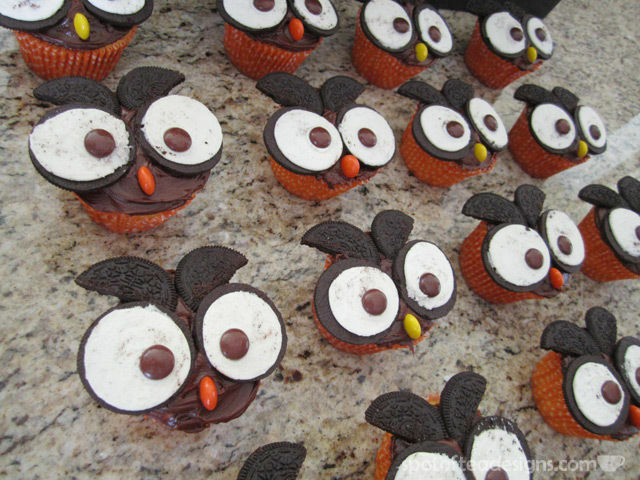 It cuts right through these treats to create perfect proportions for your guests! – So in my early baking days, I’d just grab a regular old butter knife and to put icing on cupcakes. And that’s fine. It does the trick. But once I received this at my bridal shower and finally got to use one, I was amazed at how much easier/smoother it is to apply icing to cupcakes using one of these spatulas. It’s most flexible and allows you to put icing on without having the trouble I’d often have of the icing pulling off part of the cupcake as you twisted and turned your way around the baked good. Trust me that you’ll notice the difference the first time you use one! After baking your delicious and adorable cupcakes, you’ll need a way to transport them to their final destination! I have this carrier and love it. Each cupcake safely sits within it’s own holder to help prevent topples during transport. This two layer piece snaps together so you can take just one part with you or both. You can also flip over the white piece inside which has a flat surface for cakes or to layer other baked goods. 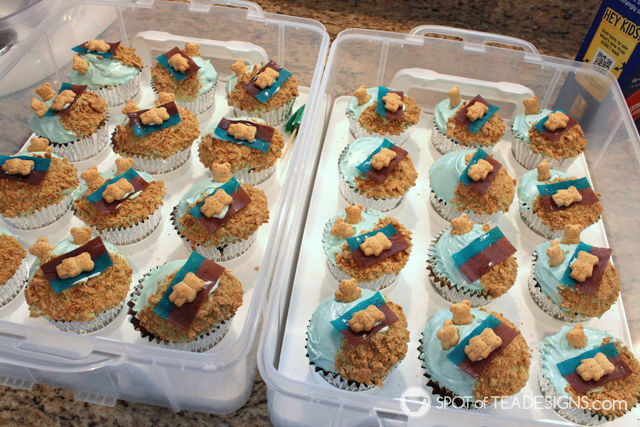 Here you can see my Sand and Sea cupcakes sitting inside before heading to our beach family reunion a few years ago! Pie carrier is a must. We use it to bring pies or quiche for any pot luck kind of situation. I have yet to ever make a pie or quiche but a carrier would certainly come in handy for them! I love our cupcake carrier!